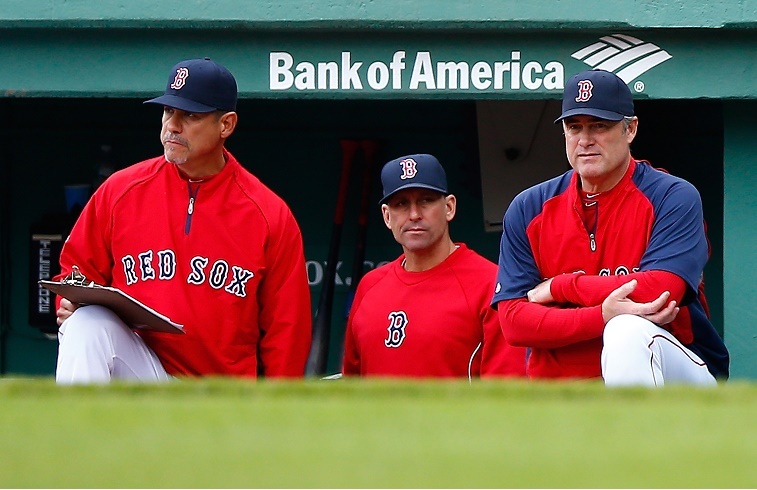 Red Sox team officials assigned blame for the rotation’s struggles and poor start to the season by firing pitching coach Juan Nieves in the second week of May. Maybe such a change was necessary. Then again, one could argue the Red Sox are getting what they paid (or traded) for with their staff in 2015. Boston starters have performed more or less to expectations through the season’s first 30 games. Here’s a look at the past few years and most recent performances of each starter. Clay Buchholz was the theoretical leader of this rotation with nine seasons under his belt, but management must have hoped his erratic ways somehow corrected themselves in the offseason. The team’s Opening Day starter was coming off a 2014 season in which he allowed a career-high 101 earned runs and 182 hits, also a career worst when you factor in his 9.6 hits per nine innings (H9). He finished 8-11 with a 5.34 ERA and 1.386 WHIP. It was an awful season by any estimation. There has been little change to Buchholz’s numbers through six starts in 2015. He sports a 1.589 WHIP and is allowing a dreadful 11.5 H9, but his 11.5 strikeouts per nine innings (SO9) are a league-best, so one could say the extra Ks are counteracting the extra hits. Buchholz’s ERA is only slightly worse at 6.03 and his 1-4 record is about right for his performance. If the Red Sox were hoping for a rebound from their longest-tenured starter, it appears to have been wishful thinking. Porcello came to Boston in the trade that sent Yoenis Cespedes to Detroit, and the move seemed worth the cost for the Red Sox. 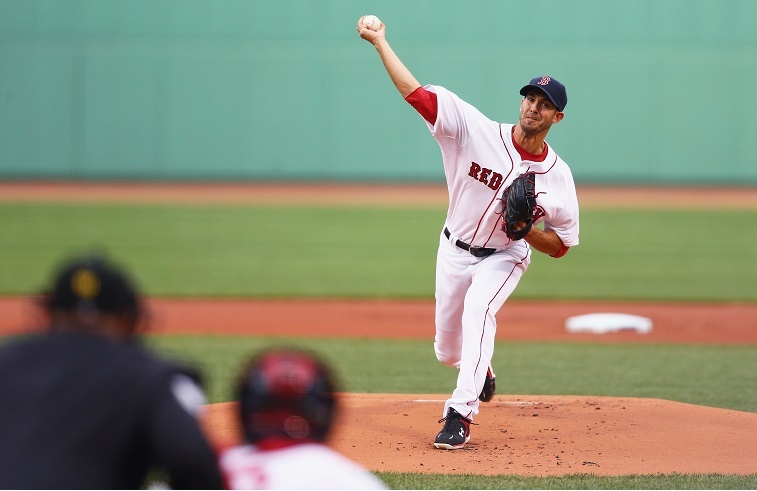 Aside from a few bad games, Porcello has been what everyone expected: Boston’s best pitcher by a mile. Coming off a career year in which he won 15 games and posted a 3.43 ERA and 1.23 WHIP, the young right-hander has settled in on his new team. Porcello’s 4.38 ERA is up slightly from a few rough outings, but otherwise his 1.23 WHIP and 2.3 walks per nine are right on career targets. His 8.1 SO9 and 8.8 H9 are the best marks of his career to date. 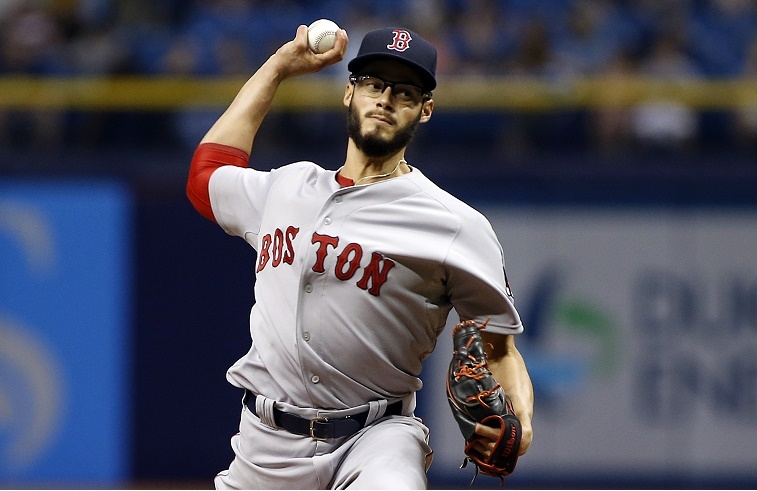 Red Sox officials should be encouraged thus far from Porcello’s performance, as they are getting the starter they expected, if not a pitcher worth $83 million over four years. In his five-year MLB career (nearly all of it in the NL), Wade Miley has averaged a 3.92 ERA, 1.33 WHIP, 9.2 H9, and nearly three walks per nine innings (BB9). Those figures are pedestrian at best, but Boston management saw potential in the 28-year-old lefty, despite the fact his 2014 season was his worst. Undaunted, they signed Miley to a three-year deal worth over $19 million. The southpaw’s performance in 2015 has continued the trend that began in 2014. He’s averaging 10 H9 (up from 9.3), 3.8 BB9 (up from 3.4), and 1.53 WHIP (up from 1.40). Each of these minor upticks can be attributed to facing an extra hitter in every AL start, which most teams account for when signing a National League pitcher. Miley has been bad, and there are no numbers to suggest he should be better. Throw in the league change and the intimidation factor for a lefty at Fenway and one might argue it could be worse. Masterson may have been the most puzzling signing for Boston in the offseason. The right-hander, a former Red Sox farmhand, was coming a 2014 season in which he posted career highs in ERA (5.99), WHIP (1.632), and H9 (9.9). He even threw in a career-high 14 wild pitches and beaned 15 batters, a prodigious number considering Masterson only threw 128.2 IP last year. Like Buchholz and Miley, Masterson was coming off one of the worst years of his career. The 30-year-old explained bad knees were holding him back in 2014, and that was the reason his average fastball velocity dropped from 93.1 miles per hour in 2013 to 90.3 miles per hour in 2014, according to FanGraphs. 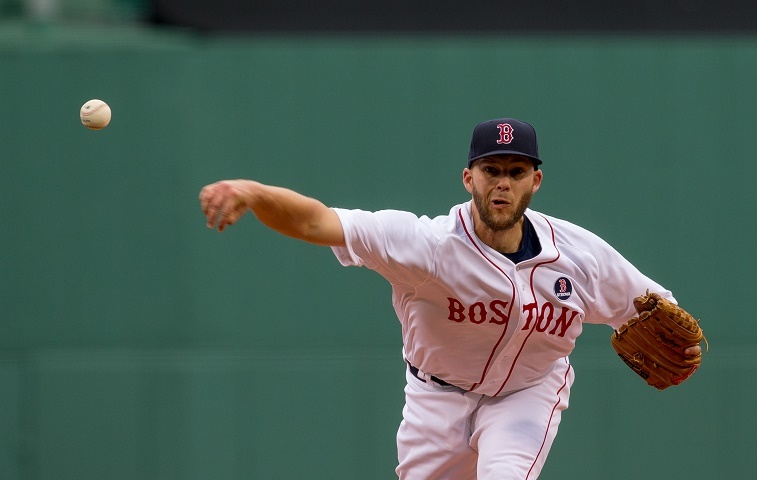 If Boston hoped for a rebound in velocity and performance, it’s difficult to understand why. Masterson’s velocity is down even more in 2015. In fact, he is posting career worsts across the board, but his average fastball velocity — 87.8 miles per hour — is the only number you need to know. His 5.18 ERA, 1.57 WHIP, and 9.3 H9 are frightening, but those stats are all better than Masterson posted in 2014. Nonetheless, we will take his career 3.59 ERA (mostly in NL action), 1.35 WHIP, 6.4 SO9, and 3.3 BB9 as hints of what to expect. So far, Boston has gotten career bests from Kelly with his 1.23 WHIP, 9.8 SO9, and 2.5 BB9. However, he is averaging fewer than 6.0 IP per start and has a 5.72 ERA through his first five games. Kelly, who has been featuring the best fastball velocity of his young career, is performing around a level anyone could reasonably expect. When you start a season with high expectations, justified or not, ball clubs have to make moves so the fans and media know someone is accountable, even when the front office deserves the blame for this rotation’s performance. Otherwise, the Red Sox should not be terribly disappointed with their starting five. They’ve performed to expectations through the first 30 games of 2015. Stats, unless otherwise noted, are from Baseball Reference.